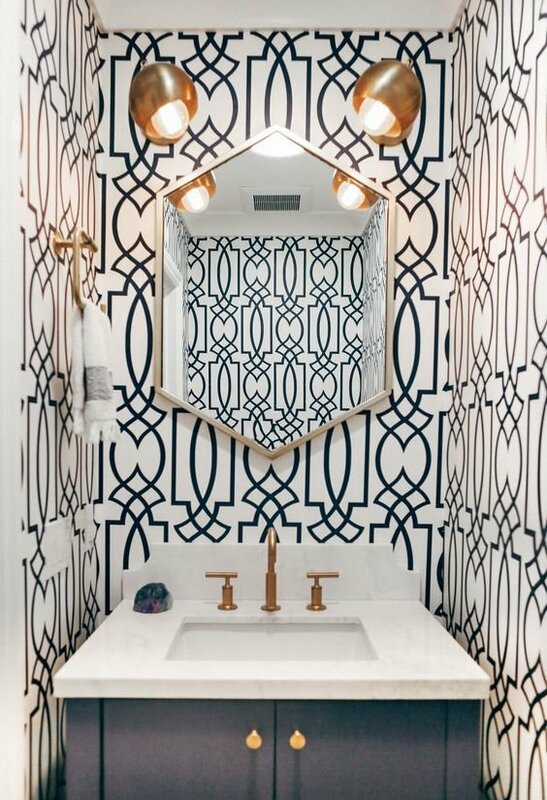 Bigger is not always better-- especially when it comes to powder rooms! In fact, I think the smaller the powder room, the more of an opportunity to make a huge impact! 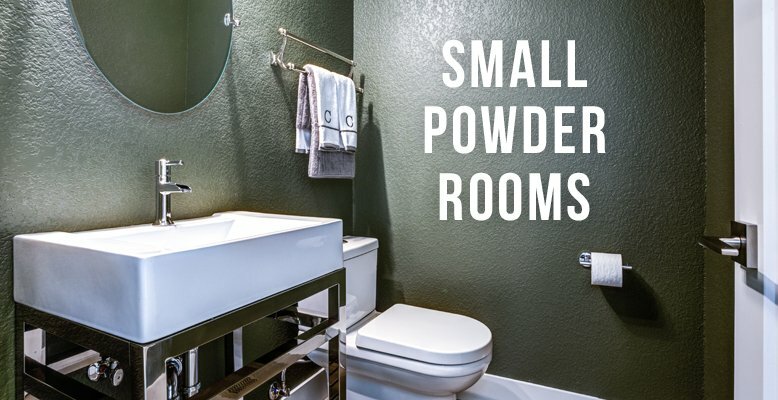 If you are wondering how to add some flavor to a small and boring powder room in your home, here are 4 things you can do to take it from drab to fab! 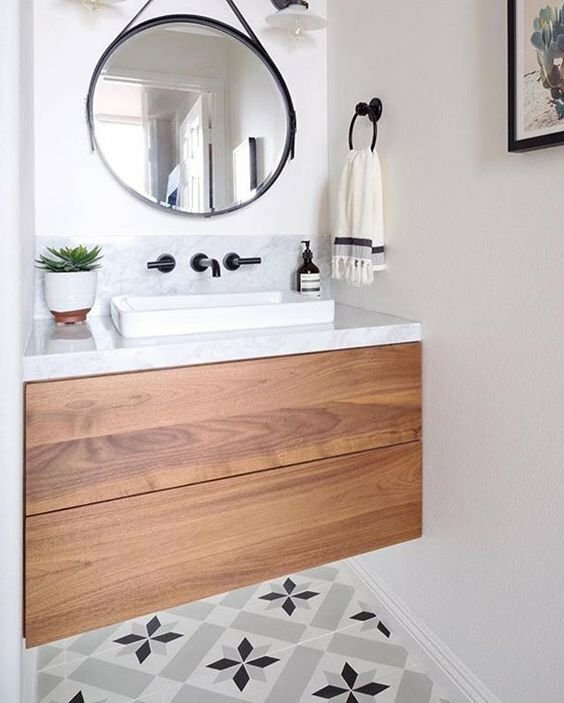 If you don't have room for a big, bulky vanity, a simple and small vessel sink is a great way to go! They are clean, don't take up a lot of space, and cute! 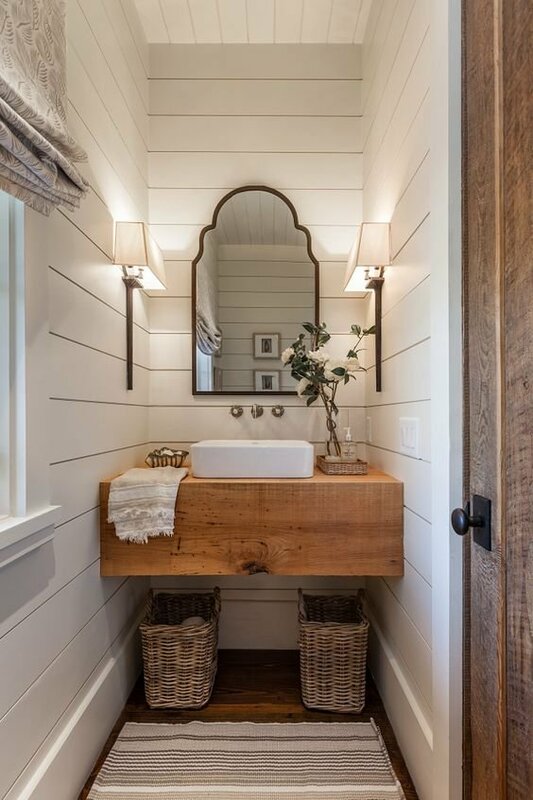 Also, I am loving the shiplap in the photo below, with a little wood countertop and vessel sink- perfect combo! Just because you don't have room for big cupboards, doesn't mean you can't store stuff! This photo of shelves behind the toilet is the perfect example of making every inch count! It might take a little thinking outside the box, but you can do it! 3. When in doubt, WALLPAPER!!!!! YES, YES, YES!!!!! 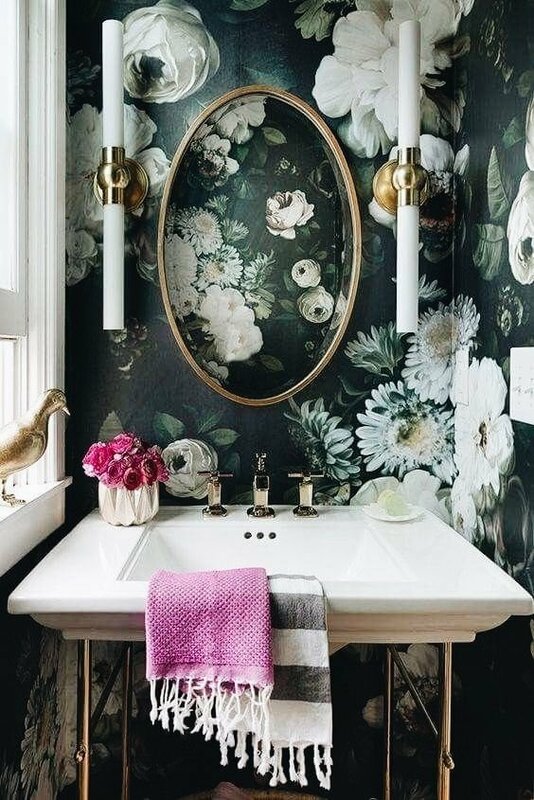 I love bold wallpaper, and there is no room in the entire home that it looks better in than a small powder room! 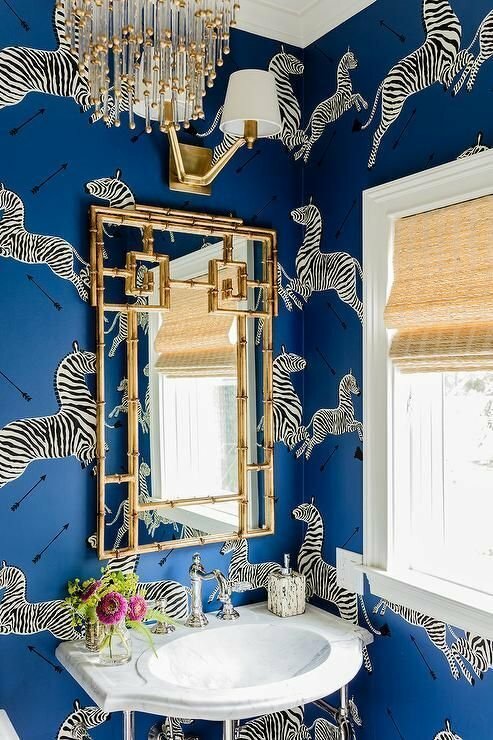 If you think a room is too small to pull off bold wallpaper, you are wrong! It will make the room feel bigger and better. In my opinion, no pattern is off limits! 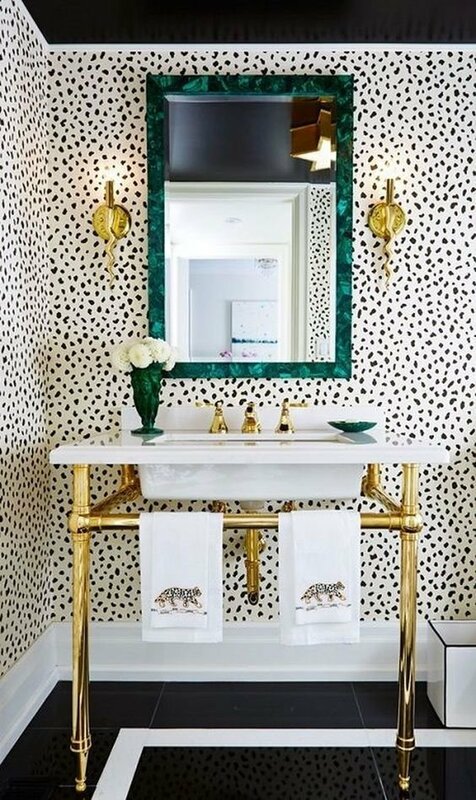 If wallpaper isn't your thing, another great option is to simply throw a fun coat of paint on your vanity! 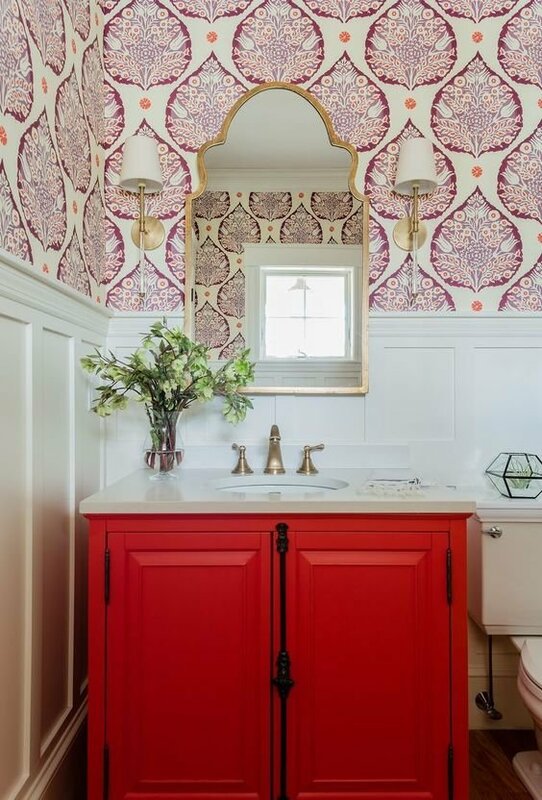 A bright colored vanity will ALWAYS win over a plain white, black, or wood grain in a small powder room. 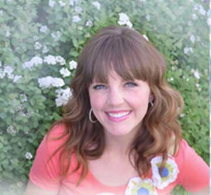 This will give your room a heck of a lot more personality! And there you have it! Four simple ways to transform your powder room! 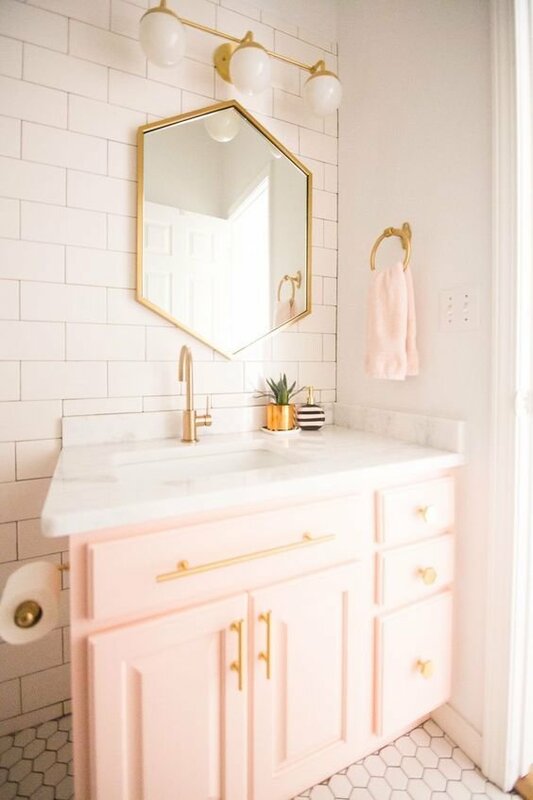 What are your tricks in creating a cute powder room?